Are you now ready to experience the joyful power of God’s mysterious secret in your life? Big time Saints have missed it and then later found God’s mysterious secret: Max Lucado, Oswald Chambers, D. L. Moody, Amy Carmichael, and Christine Caine, among many other Saints. Now it is your turn! The Jesus you invited into your heart is still in there! Are you eager to experience more of Jesus’ love and power working in and through your daily life? The materials below will explain the secret mystery and how you can get started now. After 20 years of preaching and teaching this life changing message, Len Baker recorded 6+ hours of dynamic video to expand upon the content of the Mini-Book. Filled with meaningful and inspirational stories, examples and Scriptures, will help you learn more about dying to self so you can experience the freedom in living an incredible new life in the Spirit. 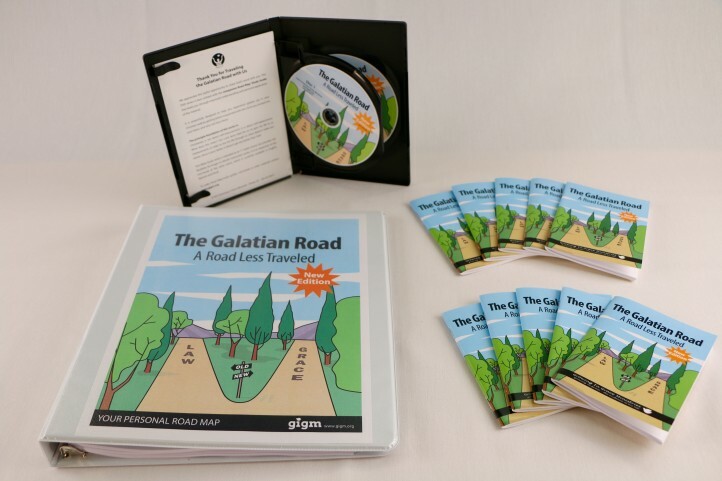 A companion to the DVD Series, this 150 page Personal Road Map guides you in the personalization of your own journey to realize the truth of God’s word, “Christ in you…” from Col. 1:27 and Gal. 2:20. Complete with a leader’s guide, group discussions and a unique approach to prayer; you will experience how the Christ in you can profoundly enrich the way you live. Imagine your miraculous transformation when you can confidently exclaim and trust that “Christ lives in me!” And, then watch how Jesus lives His life in and through a vibrant you to fulfill His destiny before He returns. The life of a Christian is radically transformed by the secret - the mystery of Christ IN you. After the 30 minutes it will take you to read this Mini-Book, you will understand the power, purpose and peace of this mysterious secret and the joy of knowing that Christ wants to live His life in and through you.